I’ve always liked this badge, large size, interesting design that isn’t yet another lion or national symbol. These badges are heavily copied. Look for a crack on the obverse running top left to bottom right, as well as poor detail on the rear of the stamping. At the end of the Great War, the Admiralty appointed an International Mine Clearance Committee on which 26 countries were represented. The Supreme War Council allotted each Power an area to clear, the largest falling to Great Britain. Some 40,000 square miles of sea needed clearing. In February 1919 a Mine Clearance Service was formed with special rates of pay and conditions of service. Members of the Service wore a specific metal cuff badge and cap tally. By the end of 1919 over 23,000 Allied and 70 German mines had been swept with the loss of half a dozen minesweepers. 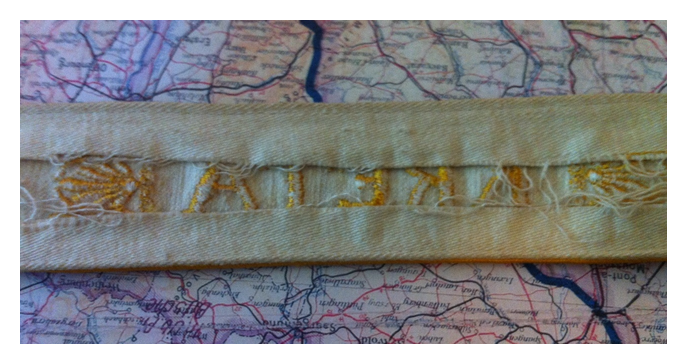 This is the most commonly found machine embroidered Kurland cuff title. This one is pretty much stock standard and, while I have been looking for one for ages, I wanted one that had no issues. The printed ones are more common but less appealing aesthetically as well as tougher to validate as period. 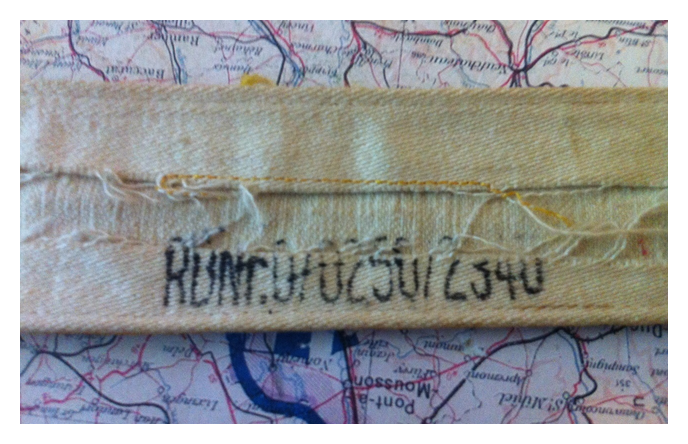 This arm band was sourced locally in the Kurland area while a small number were shipped from the Reich. Okay, after three attempts I finally have an original of this shield. Awarded to those who participated in the actions around and in the Demjansk Pocket in 1942. This arm shield for the Narvik campaign was issued to a Kriegsmarine member as indicated by the colour of the shield as well as the backing fabric. After finding out my other one was a “small 4” fake I was determined to get an undoubted original. Of course I also considered hunting down the dealer and stabbing him but reason won out for the moment. 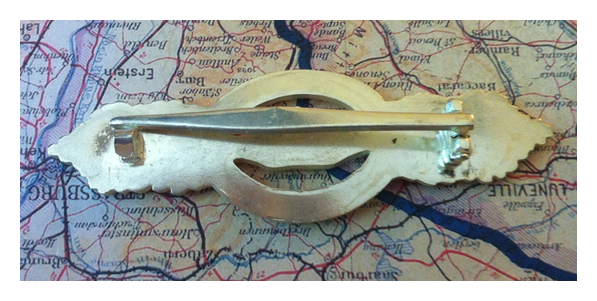 This is a Kriegsmarine Uboat Combat Clasp. It was awarded to recognise acts of valour among German submarine crews. This example was manufactured by Fec W. E. Peekhaus, Schwerin, Berlin. The U-boat Front Clasp (German: U-Boot-Frontspange) or U-boat Combat Clasp, as it is better known, was a German badge that was awarded to holders of the U-boat War Badge to recognize continued combat service and valor during World War II. It was awarded in three grades, bronze, silver and gold. This is the denazified 1957 reissue. 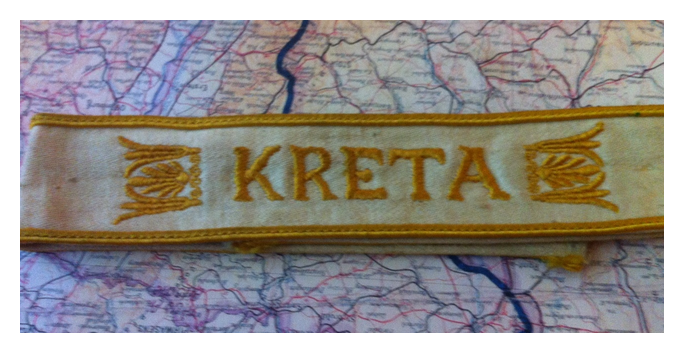 This text book example of the Kreta cuff title would have bene issued to a veteran of the bloody campaign to capture the island of Crete in 1941. 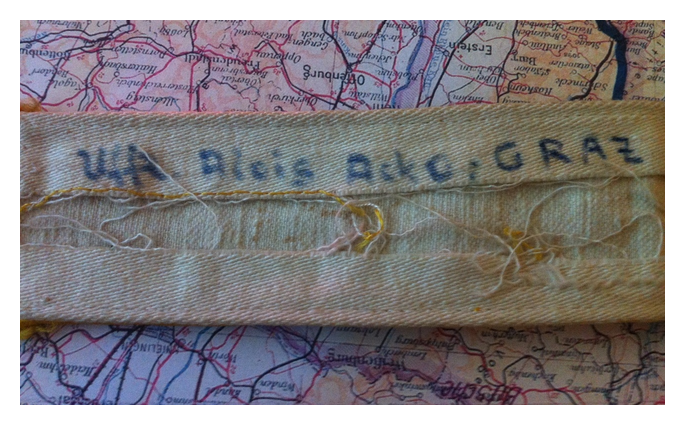 This one would make a great research project as it is named to Alois Acko from Graz, Austria. I believe the Uffz that precedes his name is an abbreviation for Unteroffizier which is a Jerry rank approximating Lance-Sergeant or Sergeant. This is a rank used in the Fallshirmjäger so there’s a good chance this is a paratrooper award which makes it double plus good. I looked Alois up on the German Casualties Lists and couldn’t find him so it appears he survived the war.